Do running records make you want to run the other way? The assessment data you gain from evaluating a running record can help inform your reading instruction and allow you to meet the individual learning needs of each of your students. 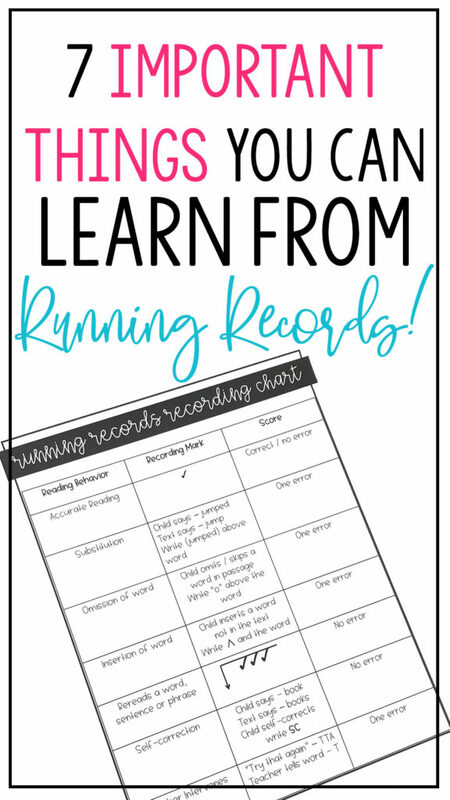 Once you understand how a running record works and what you can learn from it, you’ll have a whole new appreciation for this valuable assessment tool. So don’t run from Running Records! Stick around and learn more about how they can help you and your students! A running record is an assessment of a child’s reading behaviors. It can be used to determine a child’s instructional reading level as well as to identify error patterns and show a student’s use of (or failure to use) specific reading strategies and cueing systems. When you learn how to carefully analyze data from a running record, you’ll be able to see where a student is struggling as well to identify which reading skills and strategies they are using successfully. Most importantly, you’ll be able to use the data to provide differentiated instruction. There are certain basic questions you should be asking about your student’s reading abilities, and a running record provides answers. 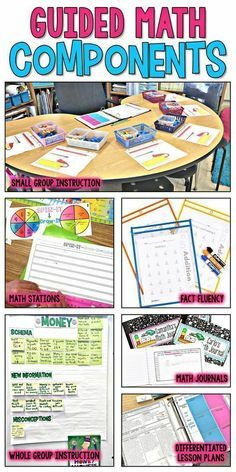 Conducting a baseline running record for each student early in the year will help to inform your instruction and aid you in assigning each student to the correct level Guided Reading Group. 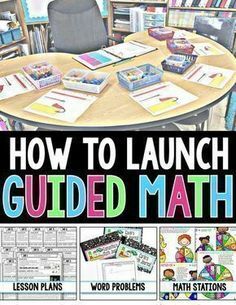 To do this, you’ll administer a running record at the student’s approximate instructional reading level and use the data it reveals to assign a current level. You’ll use this information to place them in the appropriate level when you are forming your reading groups. A running record is a quick and efficient way to determine a student’s rate of reading accuracy. To determine this rate during the running record, give the child a short passage from a text at their instructional reading level. Have the child read the text while you observe and note their omissions, miscues (errors), substitutions and self-corrections. A student’s accuracy percentage is determined by subtracting the total number of errors they made from the number of running words in the text. The answer will then be divided by the number of running words. 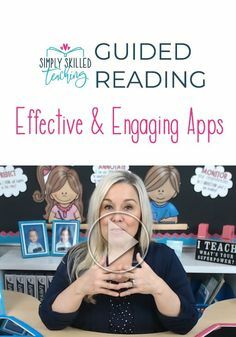 The ultimate objective of Guided Reading is to move each student toward the goal of reading fluency—seeing them transform into a reader who reads smoothly and with ease, and reads to learn. As teachers, we all know that the speed and fluency with which a child reads will affect their learning progress for the rest of their academic career. A running record is a quick and simple way to help you assess a student’s fluency rate (the number of words a child reads per minute). To do this, you’ll hand the student an unfamiliar text passage (at their approximate instructional level) and time them as they read it aloud. Count the number of read words (RW) and multiply it by 60. Then divide the total by the number of seconds it took the student to read the text. “Everybody makes mistakes,” and a running record can tell you a lot as you evaluate a student’s self-corrections. As the child reads the text, make note of the times he or she catches their own error and self-corrects it. You’ll write their first attempt above the word, and then write the letters “SC” to show that they recognized the error and self-corrected it. Self-corrections do not count as errors within a running records assessment. As you evaluate a student’s miscues and self-corrections, you’ll be able to analyze them in terms of the cueing systems they used in decoding the text. Young readers take their cues from Meaning, Structure and Visual clues they encounter in text; therefore, it’s important to see which cues they are using. It’s even more important to teach them to use all three systems in combination! In my next post I’ll be giving you an in-depth explanation of the MSV cueing systems, and I’ll show you how much they can help you learn about your kiddos! The child reflects use of Meaning (or Semantic) cues if the substituted word makes sense within the context of the story or matches the illustrations. A running record can tell you a lot about how a child makes use of meaning clues when decoding text. When a child makes an error, but the substituted word still sounds right and is grammatically and syntactically correct within the structure of the sentence, they are reflecting use of Structure, or Syntactical, cues. Data from a running record can reflect a student’s degree of syntactic awareness. 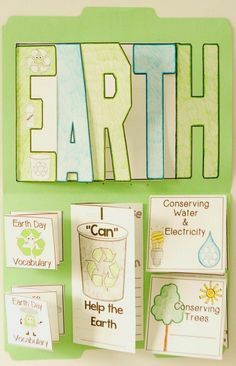 A child’s use of Visual cues will reflect how he or she is interacting with the printed letters and words on the page. As you evaluate the substitutions a child makes during a running record, you’ll see patterns emerge. Are they pronouncing the onset sound correctly but ignoring the Visual cues for the rest of the word? Look closely to see what systems they are using or failing to use. MSV analysis can help to you see where your kiddos need additional instruction, review or intervention. In response, you’ll provide each student with strategies to help them move forward. Better yet, you’ll continue to use ongoing running record assessments to determine when they’re ready to advance to a higher reading level. Remember: That’s the goal of Guided Reading! Again, I’ll explain much more about MSV analysis in my next blog post, so be sure to check it out! 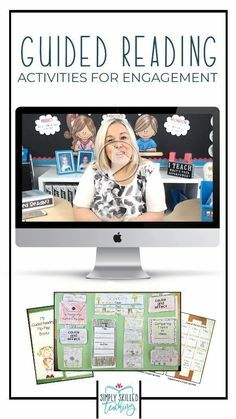 Flexibility is one of the greatest benefits of Guided Reading. As you scaffold your students and provide rigorous, differentiated instruction, they’ll progress toward reading fluency. 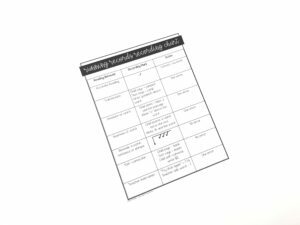 Administering ongoing Running Records throughout the school year helps you track progress and evaluate students’ readiness to advance. Moving on and moving up: that’s the beauty—and flexibility—of Guided Reading groups! The statement I made at the beginning of this post is worth repeating: The data you gain from evaluating running records assessments can help inform your reading instruction. It will allow you to differentiate your instruction to meet the individual learning needs of each of your students. So don’t run away from running records! Learn to love them—or at least appreciate them! Analyze that gold mine of information you’ll gain from a running records assessment, and use it to give your student a richer, more valuable learning experience. 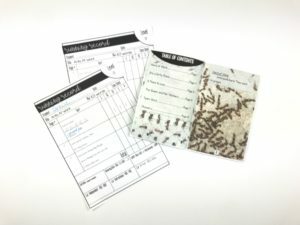 I’m excited about helping understand running records, so this is actually just the first in a series of posts on that subject. My next post, 5 Great Tips for Understanding MSV Cueing Systems in Running Records, will be packed full of information you can use in your reading assessments. I’ll clear up some of the mystery about how to use MSV codes and share a step-by-step explanation of each system. I’ll also share pictures and examples of how to evaluate a student’s use of each system in their reading behavior. I’ll try to answer as many questions as possible, and I may address yours in a future post! In the meantime, just a word of encouragement: Keep running the race! You are an awesome teacher, and you have the amazing privilege of opening the door to literacy for your students! I hope you’ll live today with a feeling of gratitude for that privilege. I’m grateful for you! ‘Bye for now, and happy teaching!